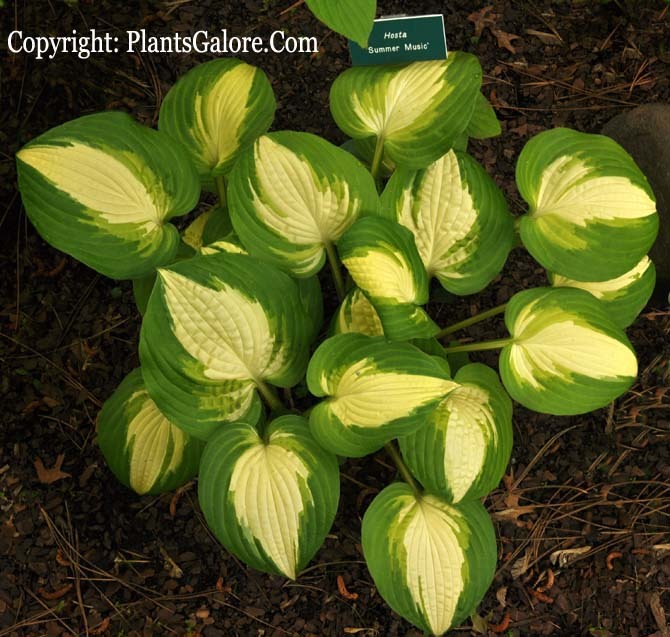 A medium size (14 inches high by 21 inches wide) hosta with medial (center) variegation, this plant was registered by Roy Klehm of Illinois in 1998. It is a sport of H. 'Shade Master.' The leaves are broadly ovate, slightly corrugated, wavy and of average substance. The pale lavender flowers bloom in July followed by viable seeds. According to The Hostapedia by Mark Zilis (2009), "It offers the elusive combination of white-centered foliage and a good growth rate." 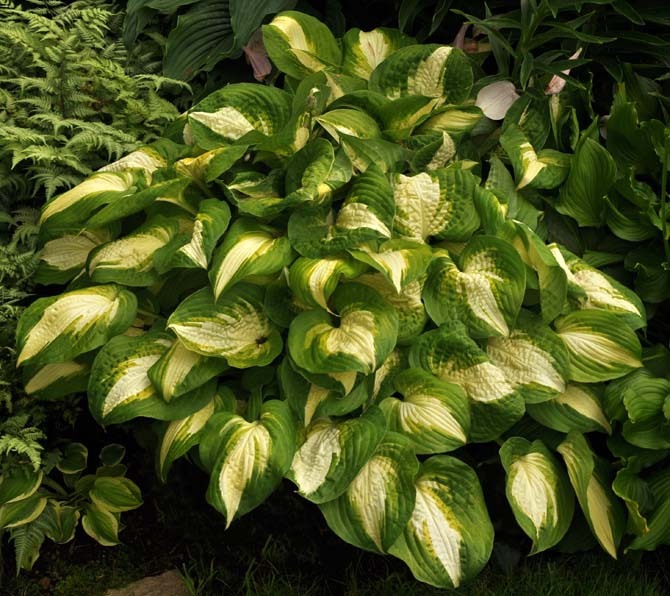 The New Encyclopedia of Hostas by Diana Grenfell (2009) states: "Moderate to rapid growth rate...dramatic contrast between the pure white leaf center and the varying shades of green widely bordering it."